RUSH: Now, back to Hillary Clinton and half her humanity tied behind her back. (laughing) Stop and think of that! There is an ad. I think the attorney general in the state of Missouri is a guy named Josh Hawley. Wait a minute… Yeah. It says “Kansas” here but it’s Missouri. Josh Hawley is the attorney general in MIssouri. Claire McCaskill is the incumbent senator running for reelection. Claire McCaskill has been one of the biggest Hillary Clinton boosters out there — and, in fact, she was one of the first in Washington to sign on and heartily endorse the Hillary Clinton presidential campaign of 2016. 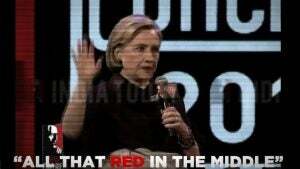 HILLARY: If you look at the map of the United States, there’s all that red in the middle where Trump won. RUSH: Stop tape! Stop tape! Stop tape. Recue it. At that point, a graphic on the screen says, “In Claire McCaskill’s America, Hillary is the president.” See, that’s not said, so I have to say it for you. But that’s a graphic. We’ll have the ad. You’ll be able to see the ad on the website and the app. Here we go from the top again. MCCASKILL: The first woman president in the United States of America is Hillary Clinton! REPORTER: The first official endorsement by a member of Congress for a 2016 presidential prospect is in: Claire McCaskill, Missouri’s second-term Democratic senator, teamed up this week with Ready for Hillary. 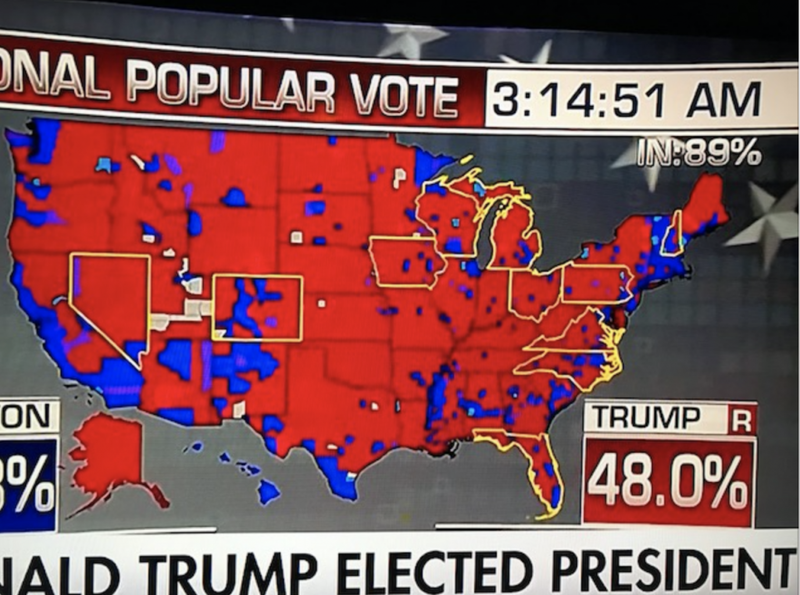 HILLARY: If you look at the map of the United States, there’s all that red in the middle where Trump won. I won the places that are optimistic, diverse, dynamic, moving forward, and his whole campaign — “Make America Great Again” — was looking backwards. Y’know, you didn’t like black people getting rights. You don’t like women, y’know, getting jobs. You don’t want to, y’know, see that Indian-American succeeding more than you are. Whatever your problem is. Working for, y’know, a woman now? You don’t like it? Whatever the reason was, uhhh, he stirred that up. “If you look at the map of the U.S., all that red in the middle where Trump won…” So what does she think of it? “Well, I won the places that are optimistic, diverse, dynamic, moving forward…” You people in the red are pessimistic, monolithic, dullards, dryballs, and you want to walk backwards. She’s never gonna have a bond with people. She never has had a bond with people. This is the main reason she can’t win, folks. She has ideological loyalty, but that’s not enough. She’s never gonna get crossovers. She just doesn’t like people enough, and she doesn’t… She doesn’t have the ability to, in her mind, descend to their level and get along with them as they are. She doesn’t want to! She wants to be seen as somebody high and mighty and way above. Last night at the same dinner, the Congressional Campaign Committee dinner for the Republicans, here’s Trump talking about Hillary’s recent comments on white women voters. THE PRESIDENT: I would say her last statement about women — they have to get approval from their husbands, their sons, and their male bosses to vote for Trump? That was not a good statement! 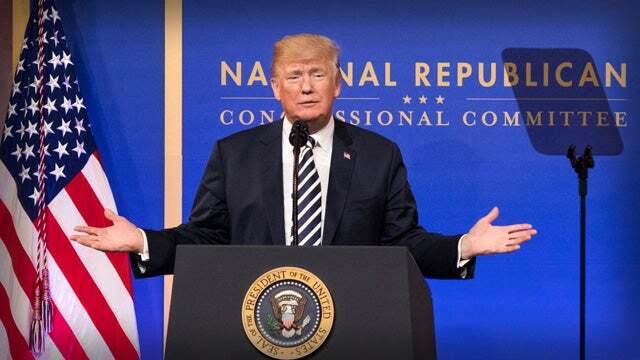 TRUMP: But that was not a good statement. RUSH: Right, and that’s because half her humanity is tied behind her book, according to Jennifer Palmieri. All right. 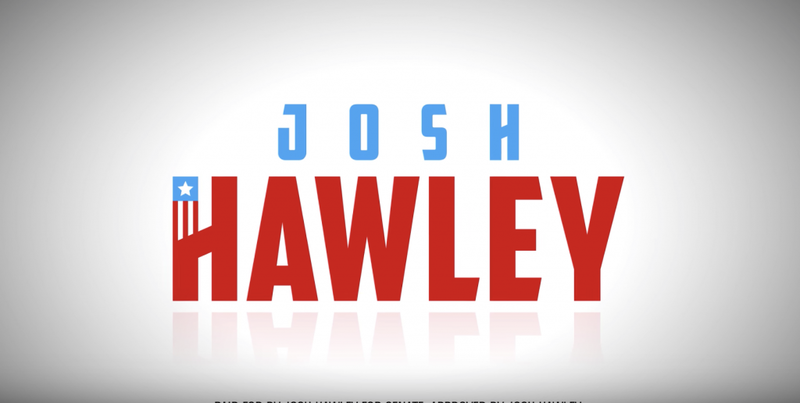 Ladies and gentlemen, the ad is now posted, the entire Josh Hawley ad in Missouri against Claire McCaskill with all the graphics. Well, reverse field. Of course, everybody does agree with me, that’s not a problem, but nobody agrees with Hillary here.